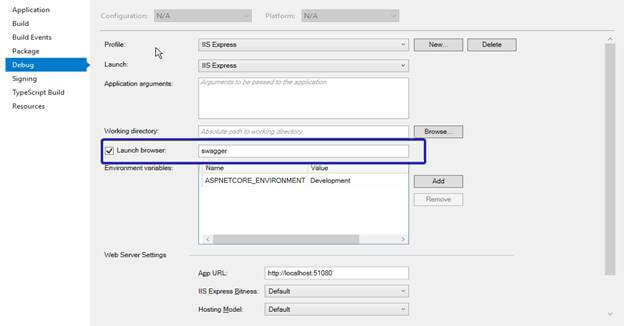 In this article, we will learn how to build an ASP.NET Core MVC application with MSSQL using dapper asynchronously in the data access layer and then, we will test the API in Swagger UI. Swagger is a tooling application for APIs build with ASP.NET Core and it generates beautiful API Documentation, including UI to explore and test operations directly from your routes, Controllers, and Models. It requires minimal coding and maintenance, allowing you to focus on building an awesome API. We are going to follow the points below. Open SQL Server Management Studio. 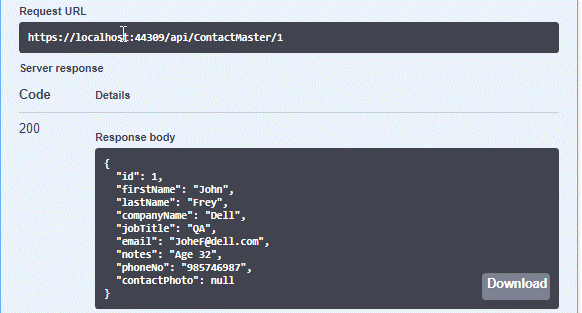 Create a new database and create a new table named ContactMaster. Create a stored procedure for CRUD operations. Create a new project and choose a project template. 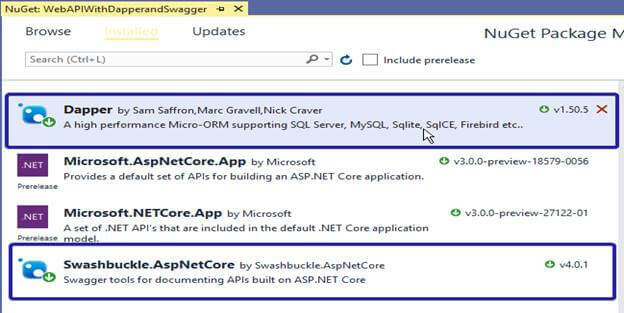 Select ASP.NET Core Application from this list and click “Next”. Configure your new project and click “Create”. You need to select ASP.NET Core Web API template. Now, the project is ready to use. Right-click on your project. Select "Manage NuGet Packages". We need to add those two packages, so search for Dapper & Swagger in the browse tab. Once you have installed these in your project, you can use them in your code. Install over the Package Manager console. Dapper will expand your IDbConnection interface with normal and Async multiple methods. Execute and queries method can use parameters from multiple different ways. The result returned by queries method can be mapped to multiple types. Let’s create a solution as Repository. Create a model class with ContactMaster table column. Create an Interface in Repository using Async keyword. Create the data access layer class by implementing the interface. 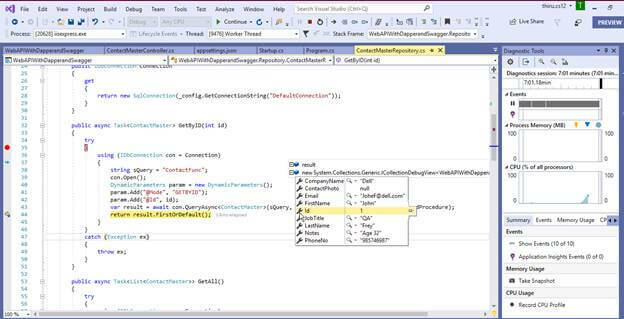 Add the SQL Server connection string from the appsetting.json file. Now, we are creating a controller to inject the ContactMasterRepository. We also need to update the project's startup.cs file to include the new Repository in the Services layer. Open startup.cs file to add swagger service method. Add the below line in your configure method. Right-click on your project -> select Properties and go to “Debug” tab. 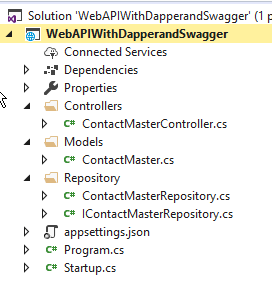 Change the URL from default to swagger. Now, run the application and you will see the Swagger UI based result. Pass the parameters to get the values using Dapper ORM. We can see the result after debugging. We are even able to see the result in Swagger in JSON format. You can download this solution from GitHub. In this article, we have learned ASP.NET Core MVC with MSSQL using dapper asynchronously in the Data Access Layer & testing the API in swagger UI. If you have any queries, please tell me through the comments section. Your comments are very valuable.